Downtown condo located just a short stroll from Downtown Saturday Market! 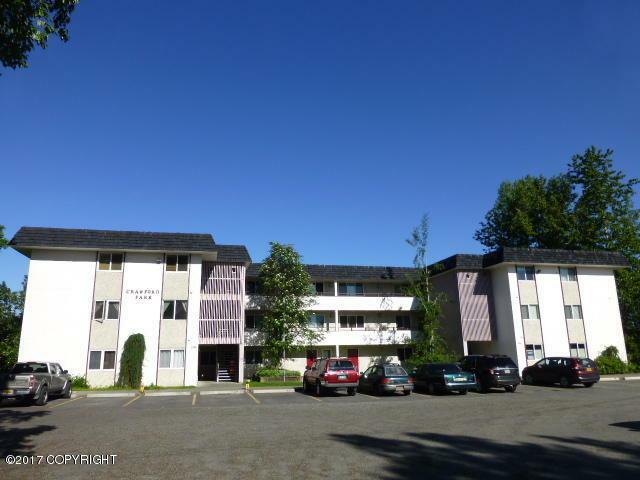 First floor, end unit condo with phenomenal views of Cook Inlet, Sleeping Lady & City Lights. Front row seats to the Fur Rondy Fireworks, Master suite with 3/4 bath, wall of closets and private entrance. Updated kitchen, Maytag washer/dryer, brand new carpet, newer windows and Hunter Douglas blinds. Listing Office Coldwell Banker Best Properties. Copyright 2019 Alaska Multiple Listing Service, Inc. All rights reserved.